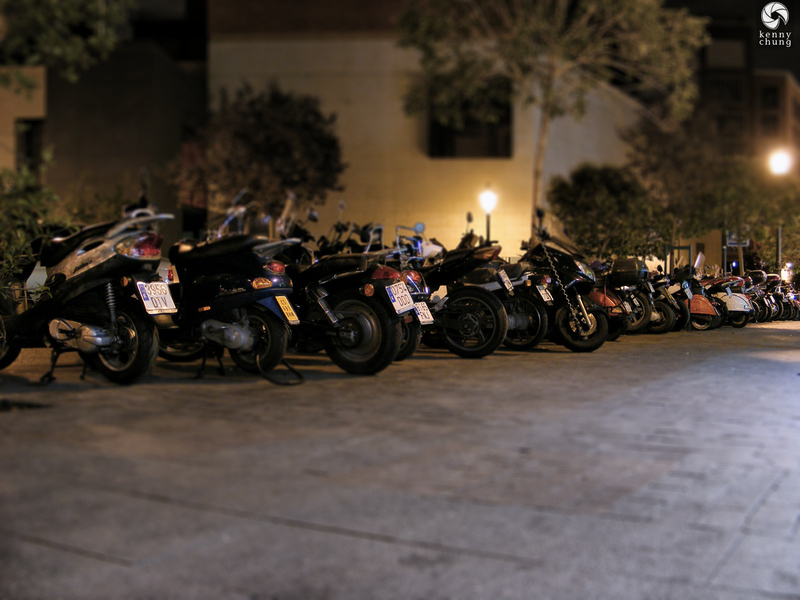 These pictures were taken when roaming around different neighborhoods or when we were just plain lost. 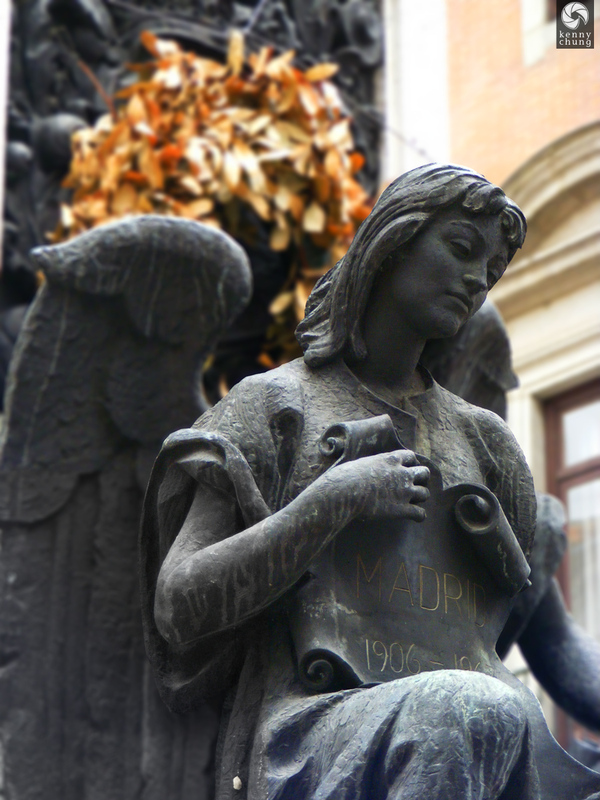 This angel statue is decicated to those who died during a bombing meant to take the life of King Alfonso XIII in 1906. 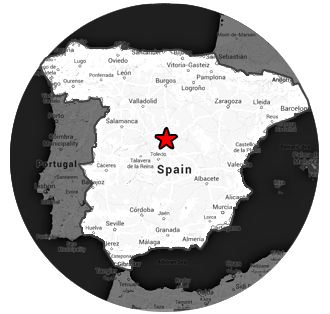 Motorbikes were very popular in Madrid, and in Spain in general. 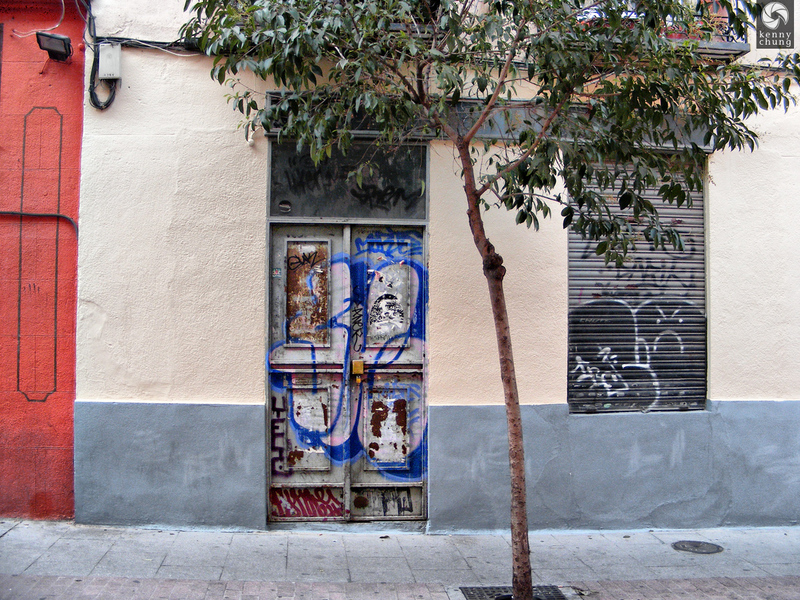 A very colorful door in the Barrio de Las Letras. 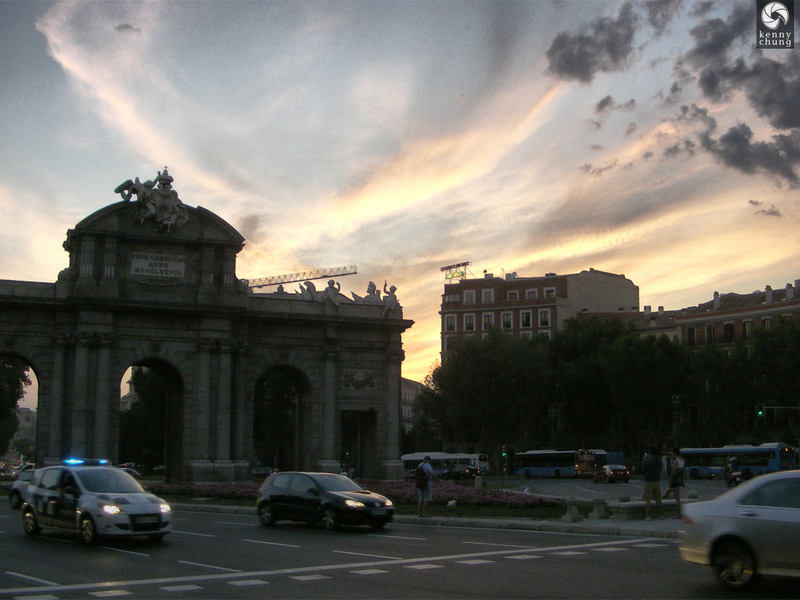 The gate of Puerta de Alcalá at sunset. 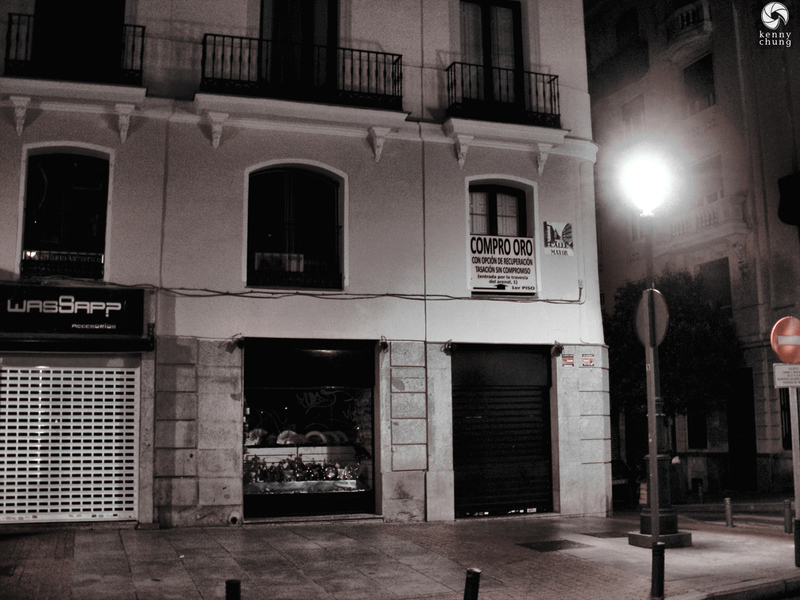 A relatively empty Calle Mayor during our last night in Madrid.